It has been emphasized time and again that an old customer always provides more value to your business than a new one. Over 14.77% of all shoppers are returning customers, and even though they are low in number, they can make up over 40% of your annual revenue! Thus, it is imperative you plan to make this segment of your audience a focus and get as many buyers into this category. Many brands are still focused on customer acquisition and forget to strategize for this aspect of their business. But close attention to details along with a solid strategy can help you retain your regular customers. Read more to know how! 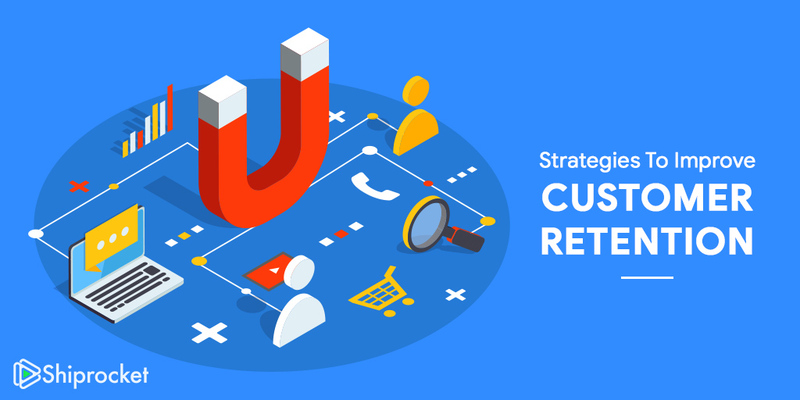 Customer retention refers to the practice of increasing return customers and making sure each of them is profitable and adds revenue to your business. In more straightforward terms, it means working to make sure an acquired customer sticks around after you have spent time and resources on acquiring them. 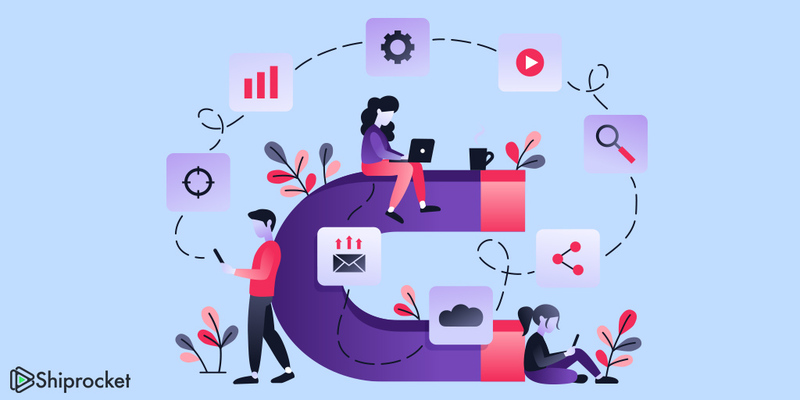 Your customer retention strategies must revolve around the idea of building a viable plan that can help you extract more value from your existing customer base. Depending on the size of your store, you must decide what portion of time and resources do you plan on spending for acquiring as well as retaining customers. 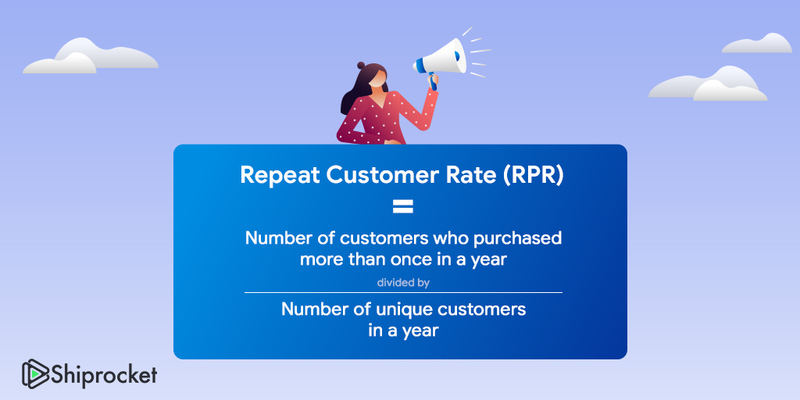 Repeat customer rate refers to the percentage of customers willing to make a second purchase from your store. This metric helps you get a clear perspective of how your strategy is performing. 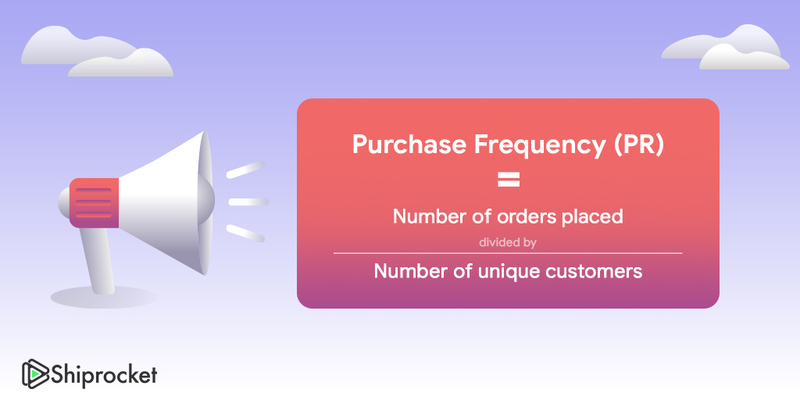 Purchase frequency gives you an idea of how often customers are returning to purchase from your store. 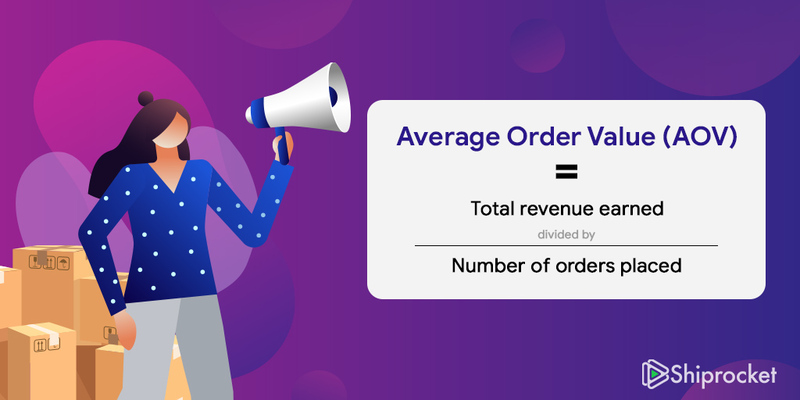 Average Order Value refers to the amount of money a customer spends in your store on each transaction. 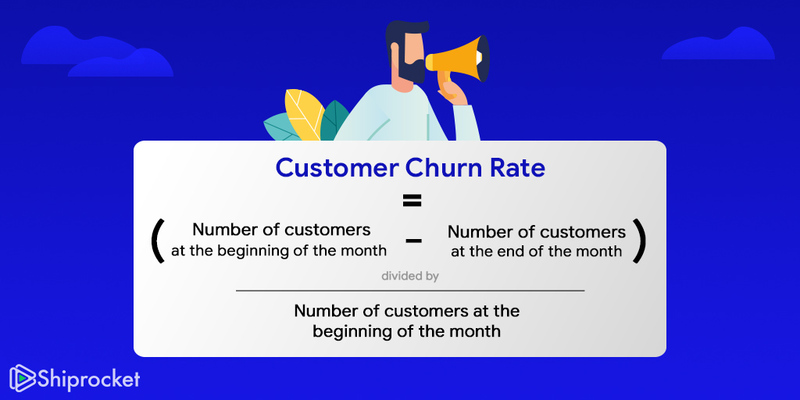 Customer churn rate refers to the number of customers you have lost over a specific period. This metric gives you an idea about the number of individuals who have stopped purchasing your brand and don’t hold much value in your brand anymore. Also, you can try and focus your strategy to luring them back to continue making purchases. 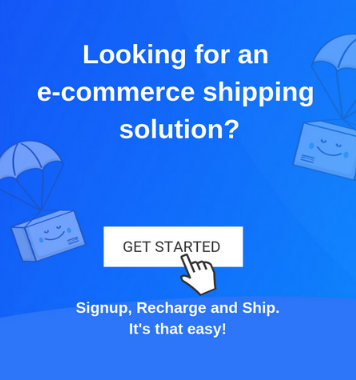 Give the user a chance to use your website and make purchases without signing up. Signing up maybe a useful metric for you to judge the performance of your store, but for new users, they can be a long drawn process and also a reason for abandoning your store. Thus, give your buyer some space to explore and give them a chance to place their first order as a guest. This way you don’t burden them with the task of account creation. Furthermore, you can ask them to register after they place their first order. In the registration process, make sure you give them options to sign up with their social account and the details they need to fill manually must be less. Only the necessary basic information must be compulsory, and the ones which can be added later must be left at that. Once a customer makes their first purchase, you only have a few ripe hours to lure them into making their second one. Thus, instead of sending them a regular mail informing them about their order details you can top it off with a personalized thank you letter, thanking them for their purchase and offering them an additional discount or a cashback for their next purchase. This way, you can entice them to come back to your website and shop again. Also, such offers prompt them to refer your site to their circle. Customer loyalty programs focus on one aspect – reward your customers for being loyal to you! You can provide them with free stuff or discounts after they make a certain number of purchases. Your program must reward the customer for their purchases and the monetary value of his purchase. Loyalty programs push the buyer to purchase more to earn valuable points which they can redeem later. You can offer them bonus points for every purchase and let them use these points for making another purchase on the website. Keep your buyer updated about what is going on! If you keep them updated about all offers and ongoing sales, they will appreciate your store and return. Also, you can add by sending them utility based newsletter depending on their past purchases. For example, if you run an apparel website, you can send your top buyers a newsletter with a look styled especially for them. When you ship your product, you can include additional discounts, thank you notes and other offers to personalize the packaging and also leave an impression on them to make a new purchase soon. When you do so, the buyer is impressed with the presentation and registers a good impression of your brand and when you offer benefits like freebies, discounts, and coupons you only add to their delight. Send your customer engaging emails to keep them in the loop with the brand. As it is rightly said, out of sight out of mind. Thus, your e-mails are communication to keep the user up to date with what is happening at your brand. In these emails, offer your users with discounts and promotions. You can attract them to their website and lure them into making a purchase. In case of a new launch, you can send them a personalized e-mail along with an e-vite inviting them to purchase from the store. A key factor for customer retention is customer service. If your customer service is not up to the mark, it is obvious you will lose customers. Many times it is possible that your buyers need assistance about a particular product or need to understand policies about your store. In such cases, you need active customer support which is prompt and can solve queries at a fast rate. Through this, you can achieve a broad base which trusts your store and returns for purchases. Having a live chat or help desk tool available can turn a customer question into a sale or a customer complaint into a resolution. More than often, an adequately addressed complaint can turn an unhappy customer into a loyal, repeat customer. 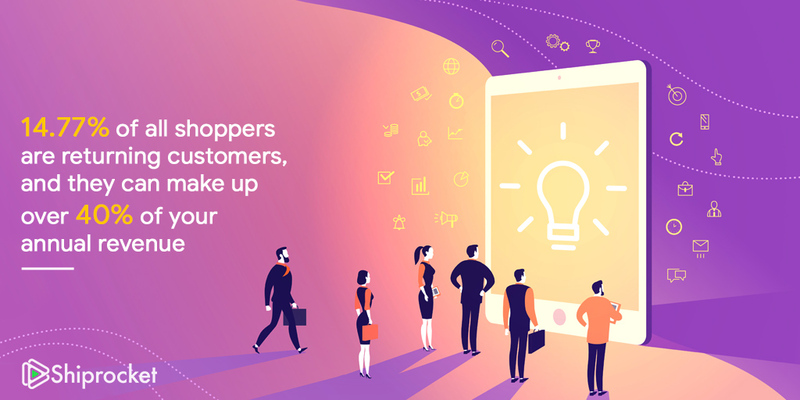 With these strategies, you can work to improve your store value and focus on customer retention thereby increasing your sales and adding more loyal customers to your base!